(Green Bay) The Wisconsin Department of Transportation (WisDOT) Northeast Region Office is reminding motorists heading to Lambeau Field on Thursday, November 26 for the Green Bay Packer/Bears football game that I-41 and adjacent roadways from Oneida Street north to Lineville Road in Brown County are under construction. Holiday travelers and deer hunters should consider avoiding I-41 and WIS 172 in Brown County and use alternate routes before and after the Packer game. I-41, WIS 172 and I-43 could experience significant backups near the stadium, as could the I-41 interchanges at Oneida Street, WIS 172 and I-43. Barrier walls, orange barrels, and narrow lanes will affect travel. Due to the I-41 Project construction, Ashland Avenue through De Pere and Ashwaubenon will also experience increased traffic congestion as additional motorists use this as an alternate route. The heaviest congestion is expected three hours before and after the game. Here is a list of the major roads in northeast Wisconsin most Packer fans will be traveling as they head for Lambeau Field, and the road conditions they should anticipate. Expect heavier than usual traffic on I-43 before and after the game due to holiday traffic and hunting. Note: The ramp closure at the I-43/I-41 interchange will cause increased traffic to use WIS 172. Expect heavy traffic on WIS 172 on gameday. The southbound I-41 off-ramp to southbound I-43 remains closed. Drivers can follow the marked detour on I-41 southbound to WIS 172 eastbound, follow WIS 172 east to I-43. The northbound I-43 off-ramp to southbound I-41 remains closed. Drivers can follow detour onto I-41 northbound to Lineville Road, and use Lineville road to access I-41 southbound. Motorists should expect heavy congestion and potential long delays at the I-41/WIS 172 interchange and on WIS 172 in Brown County from I-43 to the WIS 172/I-41 interchange before and after the game. Motorists should consider using alternate routes if possible. Barrier wall, narrow lanes, short merge distances and orange barrels will be present at various locations. Drivers will encounter 11-foot travel lanes and reduced shoulders in multiple locations along a 10-mile segment of highway. The speed limit is reduced to 55 mph from just south of Grant Street to Lineville Road. Temporary barrier wall at various locations will cause traffic to slow. Drivers will encounter reduced speed limits on I-41 near the US 10/WIS 441/I-41 interchange. Drivers should also watch for reduced lane widths and reduced shoulder widths on northbound and southbound I-41. 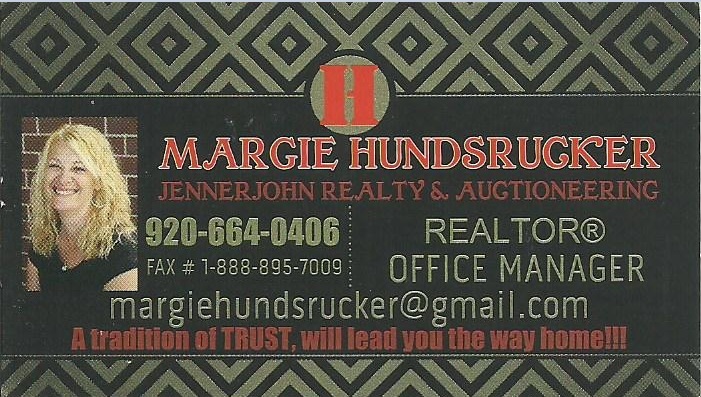 Winnebago, Outagamie and Calumet counties. Drivers should be aware of orange barrels, narrow lanes, barrier walls and reduced speed limits. Two freeway service teams will be working on game day in Brown County. One team will be on I-41 and one team will be on WIS 172 before and after the game. These teams will assist motorists – free of charge – who are involved in minor crashes or are experiencing a breakdown. If necessary, the Freeway Service Team quickly relocates disabled vehicles from the highway’s travel lanes and/or shoulders to safe, pre-designated locations away from traffic. The WisDOT’s Division of State Patrol advises you to immediately call 911 if you are involved in a crash. If there are no injuries and the vehicles can be moved, report the other vehicle’s license plate numbers as you may then be advised to move off the main portion of the roadway to a crash investigation site or to a ramp out of traffic. This will assist first responders in reaching you while helping to clear traffic delays during the critical travel times before and following the game. Additionally, if your vehicle becomes disabled in the I-41 work zone between De Pere and Suamico, notify authorities immediately, and WisDOT will send the Freeway Service Team vehicle to your location. Motorists can then contact their motor club or towing preference after WisDOT has relocated your vehicle to a more accessible and safe location. To combat drunken driving, law enforcement agencies in Sheboygan and Manitowoc counties are teaming up for a new High-Visibility Education and Enforcement (HVEE) Task Force with the first deployment held on Sunday, Nov. 22. Subsequent deployments will be held on Wednesday, Nov. 25, and Sunday, Dec. 13. The agencies will be putting more officers on patrol for longer hours to stop, test and arrest drunken drivers. Travelers should allow extra time and can check online for real-time traffic information, including travel times, lane closures and incidents, at 511 Wisconsin online at www.511wi.gov or by calling 511. The Green Bay Packers will need to restock their cornerback position before the start of next season. 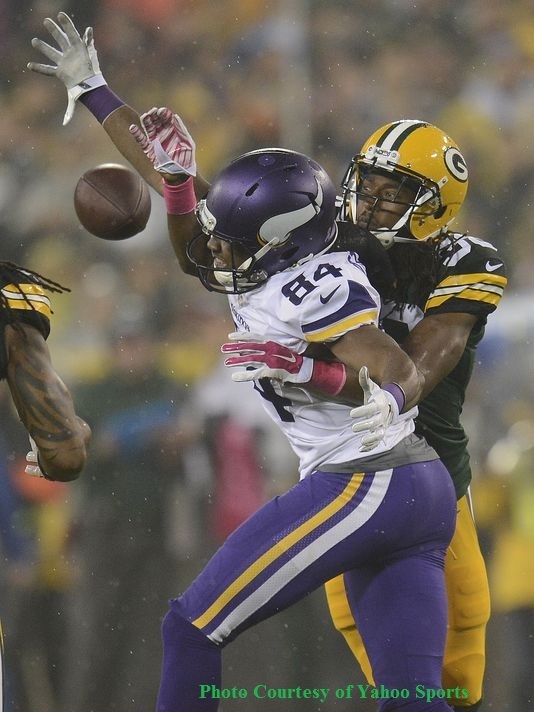 Free agent Tramon Williams signed with the Cleveland Browns on Monday, the team announced. Williams accepted a three-year, $21 million contract with Cleveland, according to a report from Ian Rapoport of NFL Network. He visited with the Browns over the weekend. Williams, who also turned 32 on Monday, spent eight seasons with the Packers. He arrived in Green Bay as an undrafted rookie after the Houston Texans cut him near the end of training camp in 2006, spending his first season on the Packers’ practice squad. In time, he would develop into a leader in the secondary. Over the past five seasons, Williams’ durability made him a fixture in Green Bay’s defense. The veteran started 79 of a possible 80 games during that stretch, partnering with Sam Shields to give the Packers a strong duo of starting cover corners. 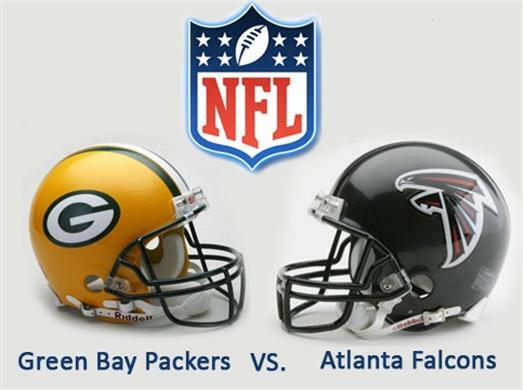 His defining play came in the Packers’ showdown against the Atlanta Falcons in the 2010 NFC divisional round. On the final snap of the first half, Williams intercepted Falcons quarterback Matt Ryan and returned it 70 yards for a touchdown, giving the Packers a 14-point lead that opened the door to a shocking blowout. Williams tied a team record with three interceptions during the 2010 postseason that ended with a Super Bowl title. Two came during Green Bay’s upset in Atlanta. Williams was also named to his lone Pro Bowl that season as an injury replacement. Williams finished his stint in Green Bay with 28 interceptions in 127 games, including 99 starts. He had at least 14 passes defended in each of the past seven seasons. His departure leaves a void in Green Bay’s secondary. The Packers already lost backup cornerback Davon House last week when he signed a four-year, $24.5 million contract with the Jacksonville Jaguars. Without Williams or House, a position of strength last fall has become an area that needs to be restocked this offseason. But the Packers were never going to extend $7 million per year for Williams, not at his age. Williams is currently the oldest starting cornerback in the league. While he stayed in contact with Green Bay during the free agency process, it was clear he wanted more than the reported $4 million per year offer the Packers were willing to give. General manager Ted Thompson will likely look to the draft to replenish the Packers’ cornerback depth chart, but there’s no guarantee a rookie can enter the league ready to play immediately. Green Bay is left with five cornerbacks on its roster – Shields, Casey Hayward, Demetri Goodson, Tay Glover-Wright and nickel back Micah Hyde. Hayward and Hyde alternated part-time roles covering slot receivers last season. While Hyde is a safety in the Packers’ base defense, Hayward could potentially make a move to full-time starting cornerback on the perimeter. It will be hard to fully replace Williams, however. Even if the veteran was declining with age, he was the vocal leader in Green Bay’s secondary. The Packers will need leadership next season, not just players capable of covering receivers. 30-50 Packers fans lined up to see the Packers arrive home at the Airport. A few hours before the Packers came home, fans were a little hard to find. But if you live in Wisconsin and you wait long enough, eventually you’ll start to see fans dressed in green and gold. Packers President and CEO Mark Murphy smiled and stopped to shake a few hands. Even Coach Mike McCarthy cracked a smile. As fans continued to cheer, players started making their way through the airport. While some players slowed down to give high-fives, others like Randall Cobb and Jordy Nelson kept walking. Aaron Rodgers didn’t stop to chat with fans but he did give a quick smile. 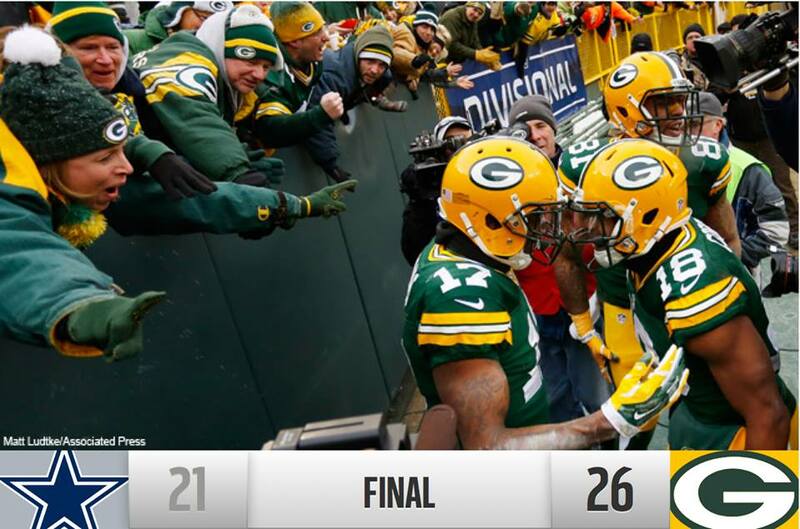 Even though the team walked off the field with a loss, fans say the Packers still came home as winners. 26 other people were ejected from the game for various misconduct violations. 16 other people were ejected from the game for various misconduct violations. We have just learned from Tampa Fire Rescue that between five to seven people have been struck by lightning at the Raymond James Stadium just as the Bucs-Packers game ended. Seven people were being treated by paramedics. The incident happened in parking lot 14 on the north side of Raymond James Stadium. All of the victims were being taken to St. Joseph’s Hospital. An additional 4 or 5 people stated that they would go to the hospital on their own. Spokesman Jason Penny says it doesn’t appear that anyone was directly struck by the lightning Sunday afternoon. He says the lightning did, however, kick up rocks and gravel and knock a few people down. It struck shortly after 4 p.m. There were no other injuries reported and thankfully no fatalities. Ages of the patients range from early twenties to a man in his seventies. 36 other people were ejected from the game for various misconduct violations.